Back in 2014, Sony claimed the center of attention in the information superhighway (the internet) when they announced that they had been working on a project known as Project Morpheus for over three years. It was later revealed that Project Morpheus was the code name for what would be known as the PlayStation VR – a Virtual Reality gaming head mounted display. Unlike HTC Vive and Oculus Rift at the time, the PlayStation Virtual Reality didn’t rely on a high-end gaming PC to operate but instead would be powered by the PlayStation 4. Over two years on and South African fans (and the world over) of the popular home video console can start to celebrate. It was officially announced that the PlayStation VR headset would be available for purchase from October 13th this year. This will make it the very first dedicated gaming VR headset to be available in local retailers. The final version of the PlayStation VR headset was showcased at the Game Developer’s Conference (GDC) 2016 in San Francisco, California. The PlayStation VR promises to deliver specs that would leave any gamer salivating at the idea of getting their hands on the headset. It has a 14.5 cm 1920×1080 full high definition OLED display, which translated to 960×1080 for each eye. The exceptional display plus a 100-degree field of view and a 18ms response time will mean the users will have an experience that is virtually indistinguishable from reality, promises Sony CEO, Andrew House. The Virtual Reality headset (by Sony Interactive Entertainment) features a refresh rate of 120Hz, granting it the capability to render games at 120fps, conspicuously surpassing the Oculus Rift and HTC Vive’s offering of 90Hz. According to Sony, the PlayStation VR will deliver incredibly “smooth visuals”. What the techno giant neglected to make apparent however is that the Virtual Reality headset will not be solely powered by the PlayStation 4. Owners of the PS4 who want to add Virtual Reality to their gaming experience will have to clear space for an accompanying box that’ll connect to the PS4, providing additional power for the Virtual Reality headset. 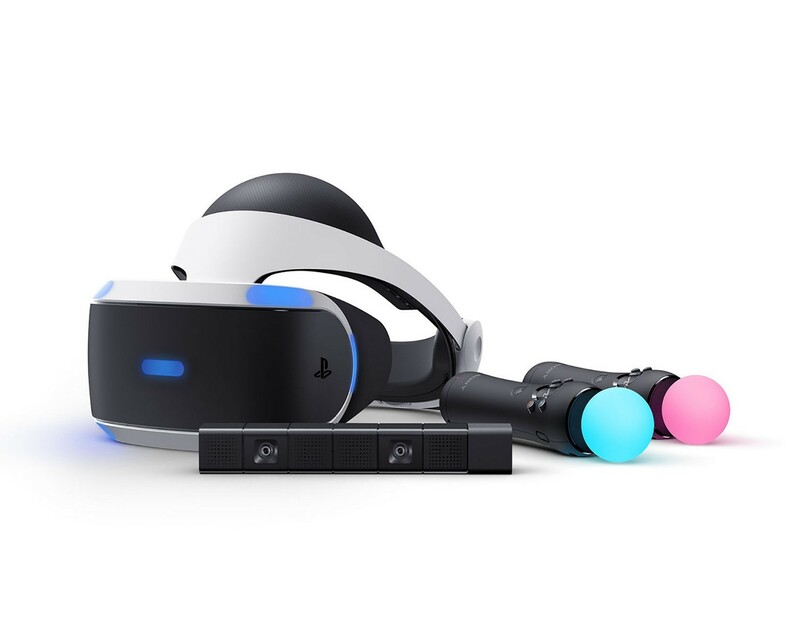 The add-on box will also allow your friends, family and anyone around a view of what is going on inside the headset as you play, through a ‘standard’ output that connects to your TV when you are playing a ‘regular’ PS4 game. In 2009, Marc Flury (from Drool) and Brand Gibson teamed up to create a rhythm violence game called Thumper. On the 29th of June this year, it was announced that the game would be launched alongside PlayStation VR in October. Thumper is compatible in both ultra-glossy 2D and fully immersive VR. At the Electronic Entertainment Expo (E3 2016), Sony announced a bundle of triple A titles that are poised to receive a PlayStation VR treatment. These included, Resident Evil VII: Biohazard, Batman Arkham VR and Star Wars Battlefront: X-Wing Mission. These add to the list of PlayStation VR demos from the TGS (Tokyo Games Show). The list included, Final Fantasy XIV, Hatsune Miku VR: Future Live, Cyber Danganronpa VR: Class Trial and Summer Lesson. There are over fifty games that set to be released for the PlayStation VR between the launch date in October and the end of the year. Sony did however turn to their in-house design studios to make certain that five games were ready on the launch day for gamers to take home with their brand new PlayStation VR. The games include, PS VR Worlds (a raft of five mini games developed by Sony’s London studio), Rigs from Guerrilla Cambridge, Until Dawn: Rush of Blood, Tumble VR, and Super Stardust. To interact with the virtual world, you will need to use a DualShock 4 controller, but this isn’t the only gateway to VR interactivity. 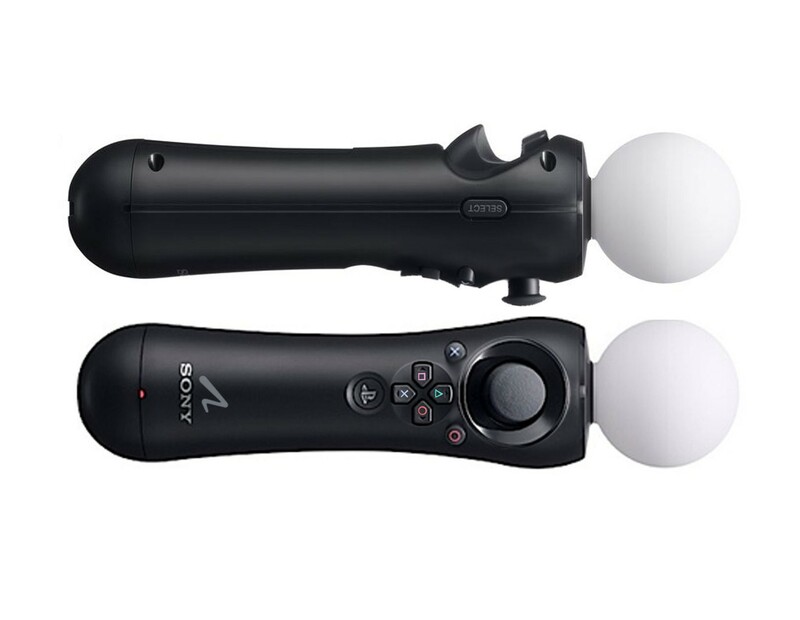 Sony plans to revive the PlayStation Move Batons, which were accessories from earlier motion-control systems from the glory days of PS3 that had been written off by many. Instead of using conventional button presses, the Batons allow players a more immersive and interactive experience (compared to a DualShock 4 controller) through the motion of gestures to control both the characters and the environments. During the E3 2016 press conference, Sony also unveiled the PlayStation VR Aim Controller. 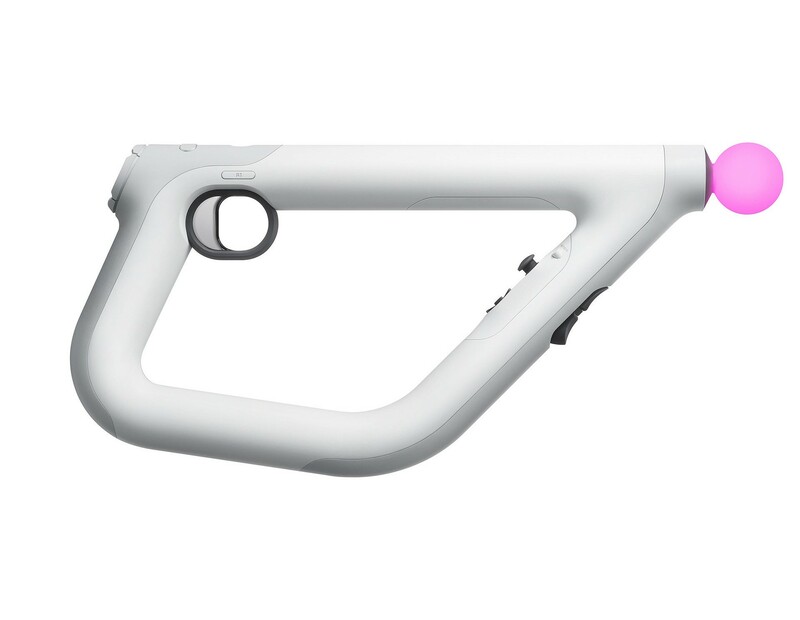 The Aim Controller will allow players to aim and take fire in the immersive world. The accessory will be compatible with the new indie FPS title (and PlayStation VR exclusive) Farpoint. The game promises to be an unsettling space odyssey set on an antagonistic alien world. Regardless of the simplistic, minimalist design, the PlayStation VR Aim controller possesses the same buttons as a DualShock 4 controller. This includes the X, O, ∆ (triangle) and □ (square) buttons -to provide players the same functionality they would have with a traditional controller – and additionally, two triggers, two analogue sticks, a button that emulates the Touch Pad, a D-pad, two bumpers and the Share and Options buttons.